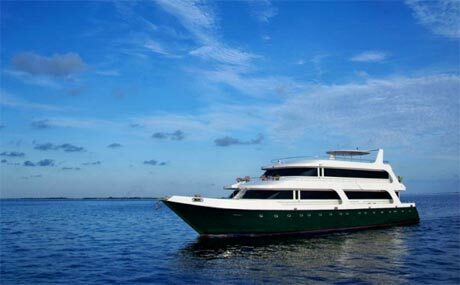 Most Maldives liveaboards visit the Central Atolls of the Maldives. What if we want to be different and explore the diving deeper in the south? Everything south of Male is considered to be one of the South Atolls. However, the true southern pearls are the Huvadhoo, Foahmulah and Addu Atholhu atolls. So, what makes the deep South special? It’s simple: diving is just much better far from the madding crowd! The further south the fewer people. There are more unspoiled healthy corals and the environment is a little wilder. Huvadhoo, the largest atoll, is known for beautiful channels full of life. You might see hammerheads and silky sharks during the morning dives, and welcome huge whale sharks under your liveaboard at night. Foahmulah is a tiny atoll in the heart of the ocean. There are not many dive sites, however the chance to meet “a big fish” is extremely high. 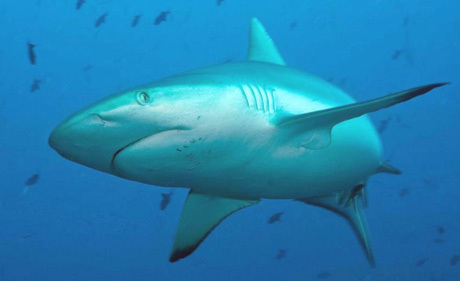 Divers often report thresher sharks, mola mola and tiger sharks! Addu Atoll is the southern spot of the Maldives. The atoll itself is sufficiently developed, but not crowded by divers. Besides the channels, thilas (underwater islands) and coral walls, Addu is the most famous for diving with mantas. When to dive the Deep South Maldives? The best time to go is from February to April, because there is little wind during these months. As the south atolls are so lost in an open ocean, the channels are wider and calm weather is crucial when it comes to diving. International flights go to Male. You may have to take a local flight if the port of departure is elsewhere. Another option is an extended trip – departing from Male. There are not many liveaboards operating in the deep south, and the season is short, so it is well to book well in advance. These boats all visit the south Maldives: Scubaspa Yang, Blue Force I, Emperor Leo, Emperor Virgo, Manta Cruise, Duke of York and Carpe Novo. We are happy to be able to offer you $75 off a Maldives liveaboard, courtesy Divebooker, when you book a liveaboard via their site. It costs no more to book with Divebooker than if you went direct to the dive operator. Indeed, they guarantee that if you find same services offered elsewhere at a lower price they will match or beat the price. Plus, every booking generates a donation to the Marine Conservation Society. Previous articleSquid – the prawn cocktail of the 21st century – but is it OK to eat? Next articleIs mislabelling good for fish?